AMC.com – Behind “The Walking Dead”! Something cool I thought I would share! 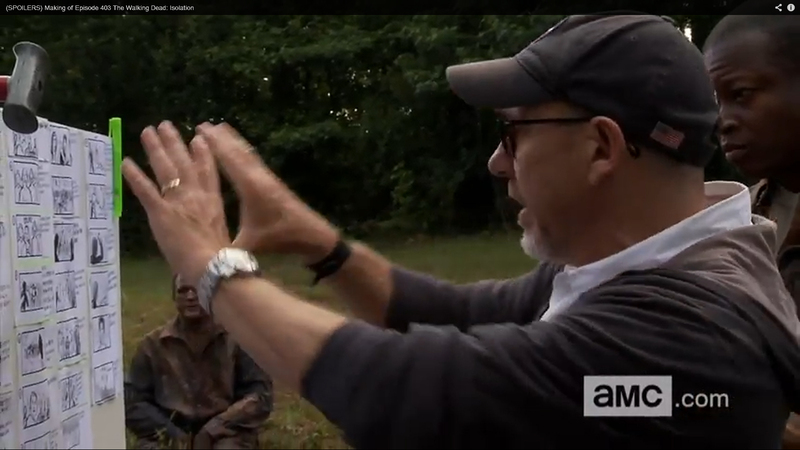 The ‘making of’ video for one of the Walking Dead episodes I boarded this season actually shows them using my boards on location. So cool to see. I rarely get to see them being used. This was for a gigantic zombie herd sequence and car sequence 🙂 Enjoy! 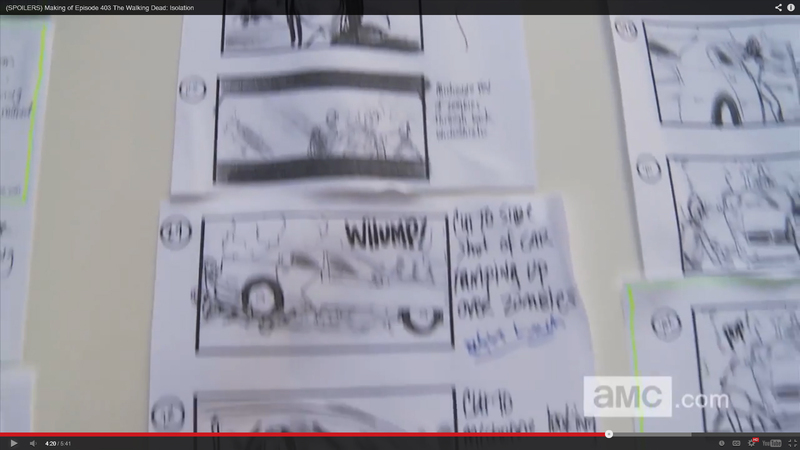 Dan Sackheim utilizing my storyboards on location.